I recently reviewed the 4K version of this particular Chromebook and I thought it was a great machine. Its biggest downside was mediocre battery life, thanks to the ultra hi-resolution display. This version sports a 1080p panel, as well as a slightly less powerful i5 processor, both of which should lend you a noticeable bump in battery life. You get half the RAM, too, but 8GB for Chrome OS is more than enough for most people. 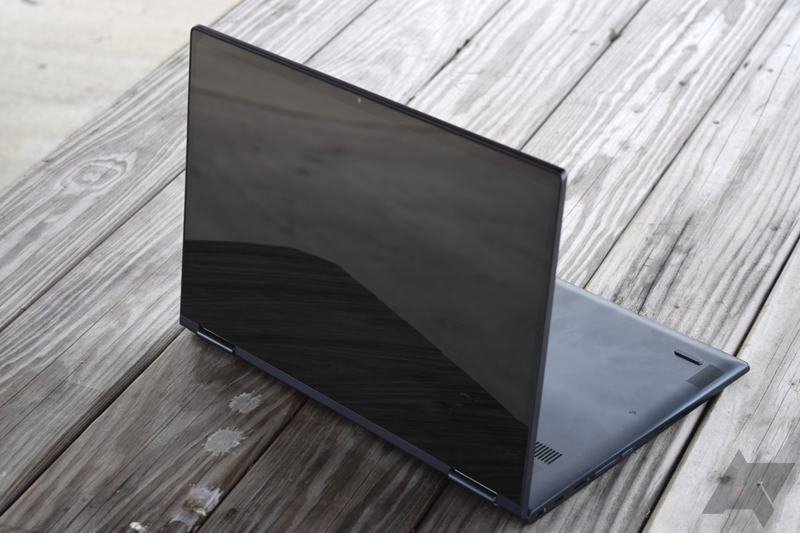 Otherwise, I'd say the Yoga Chromebook C360's other weakness is that the chassis, while gorgeous, attracts fingerprints — and boy, are there a pain to clean off. 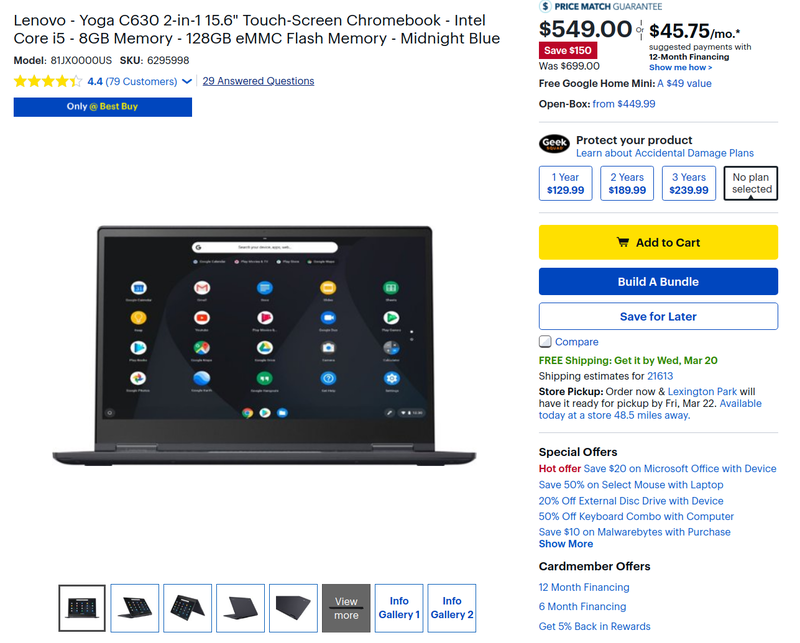 Right now, unless you're put off by the large 15.6" display, this is the Chromebook I'd recommend, especially given this sale. This deal has been around for a few days, but we wanted to let you know about in case you hadn't seen it yet. And in the event you don't have a Home Mini for every room, then the freebie is an added bonus. Just head over to the buy link below.